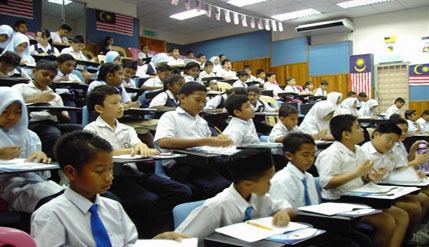 BANGI,12 August 2010 –Innovations in the curriculum and co-curriculum of the national educational and learning system must ensure that students are equipped with knowledge to enable them to be competitive at the international level. This was among the 31 resolutions adopted by the 4th edition of the National Seminar on Education (SKEPEN2010) organised jointly by the Education Faculty of Universiti Kebangsaan Malaysia (UKM), the Ministry of Higher Education, the Ministry of Education and Majlis Amanah Rakyat (MARA) here early this month. A statement issued at the end of the two day seminar said it felt that innovations must at the same time also ensure that students will be resolute in defending their own character as well as their identity as Malaysians. The seminar views history as an important subject as its curriculum could mould and shape the students’ character and identity. Any innovation in this subject should be contextual, focusing on shaping critical thinking, creativity and knowledge of the thinkers of history as this could arouse interest for history, starting from the pre-school level. On leadership and administration, the seminar felt that the best strategy was to provide education about the country’s different cultures so as to address the differences inherent in a plural society that could bring about conflicts in the leadership and administration of the national educational system. To ensure an excellent school organisation, the seminar proposed that elements like communication, inter-personal communication, teamwork and external relations should be made the main pillars of an excellent school leadership. On ICT, the seminar concluded that educators should maximise the intergration of ICT with educational innovation to be in tune with the latest technological developments, in order to produce effective educational materials and enhance the achievements of the various types of students. School ICT supervisors should be trained so that they could have the skill in managing ICT laboratories and the maintenance of computers, while adequate funding should be provided for all facilities and resources required. It was also suggested that Facebook be used as a platform for discussion which would in turn make ICT and e-Learning as a way of life to students. When drafting an innovation policy, particularly to overcome the problem of secularism and dualism in the thinking and education of the Muslim society that was brought about through philosophical knowledge of the West, the seminar resolved that the National Educational Philosophy should re-emphasize the concept of unity that is based on the belief in God. The participants also suggested that the National Strategic Plan for Higher Education and all policies to be enacted for innovation in education and learning, should ensure a holistic development of the graduates of institutions of higher learning who should possess generic skills so that they can work and lead in national and global organisations. The need for transformation and innovation of the national education system should be directed to achieving “life-long learning”, that is capable of moving the country’s education system into the realm of “beyond excellence” while striking a balance in producing students imbued with morality, courtesy and discipline, both in the academic and vocational/technical streams and while also being sensitive to the gender ratio in enrolment. The seminar also expressed the need for a mechanism to screen out the negative and false elements of western philosophical knowledge so that the transformation and innovation in the national education system do not become a threat to the official religion and the values, beliefs and cultures of the nation. It felt that efforts to resolve problems over the administration of religious schools (SAR) and other Islamic educational institutions which are sensitive and controversial, there was a need to set up a functional model that clearly defined the cooperation and coordination needed in the operation of the institutions. It should be provided with executive power with an organisational structure that clearly defined the flow and division of duties of its officers.